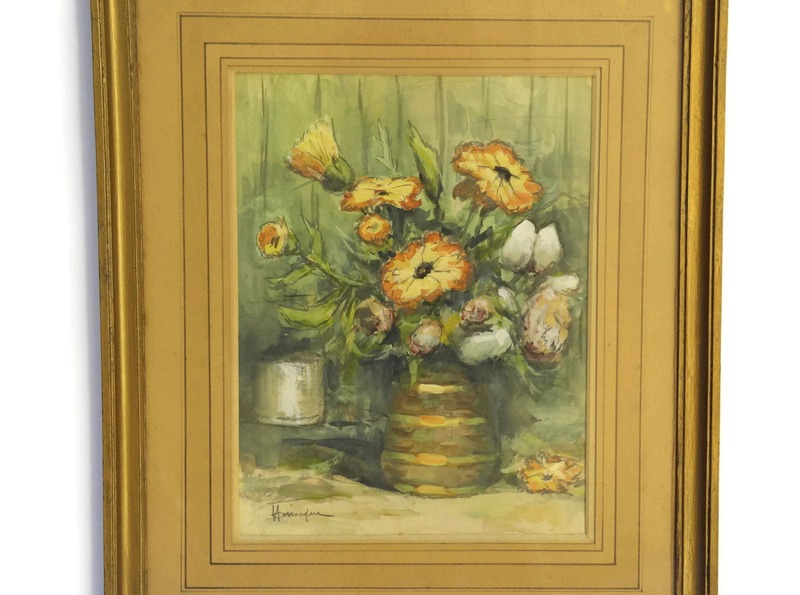 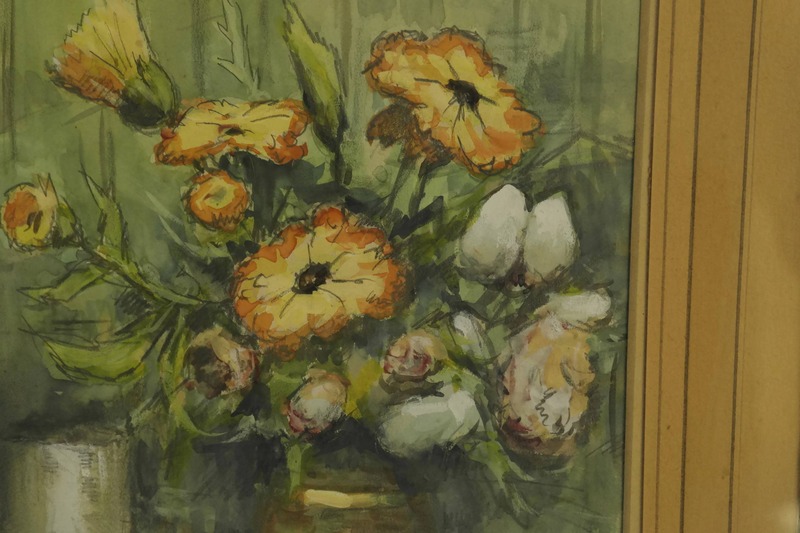 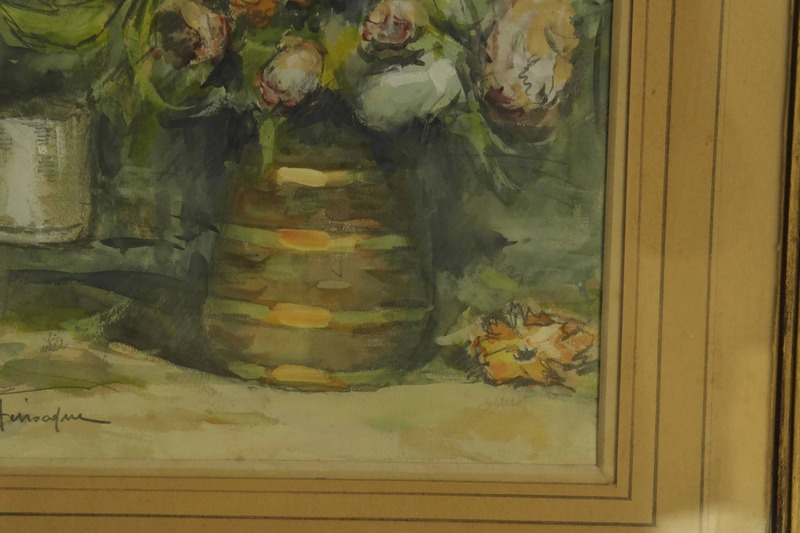 An exquisite Orange Flowers in vase still life watercolor painting dating to the early 1900s. 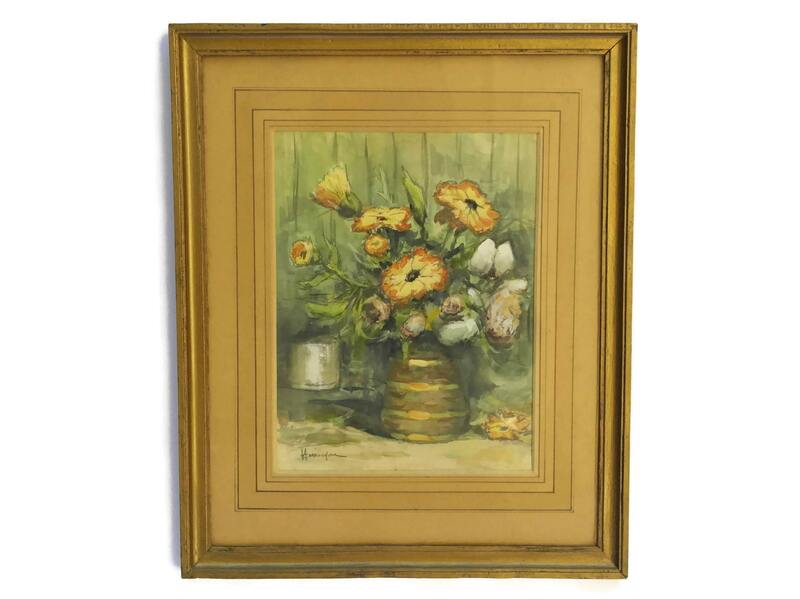 The French antique watercolor painting features a vase filled with orange flowers. 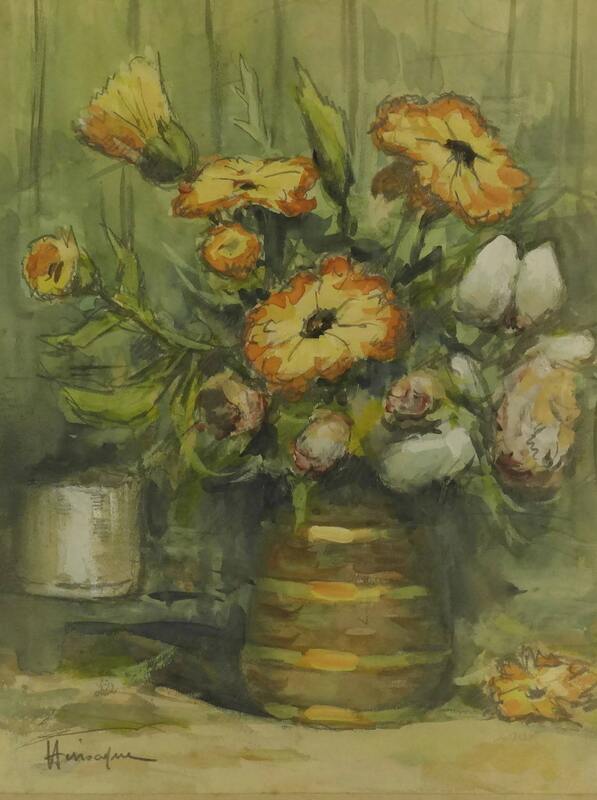 The still life has been painted in aquarelle watercolors on paper in a warm palette of oranges and greens. 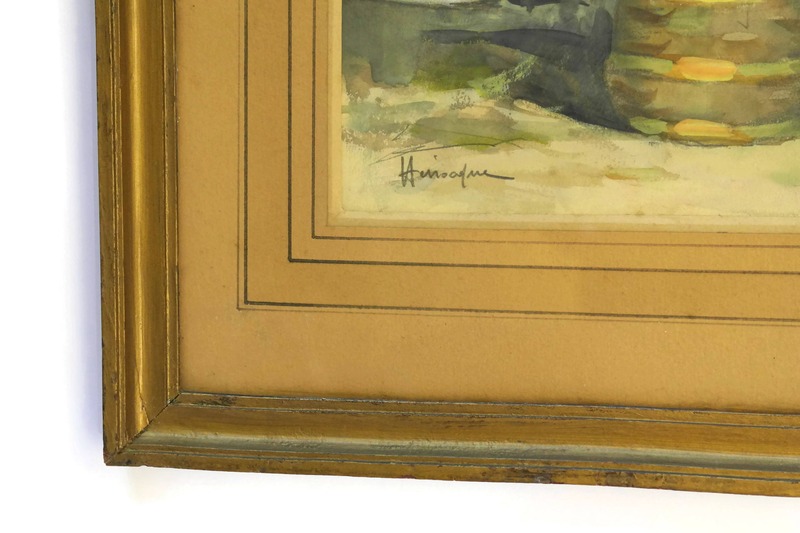 The artist has used pencil to create definition in places. 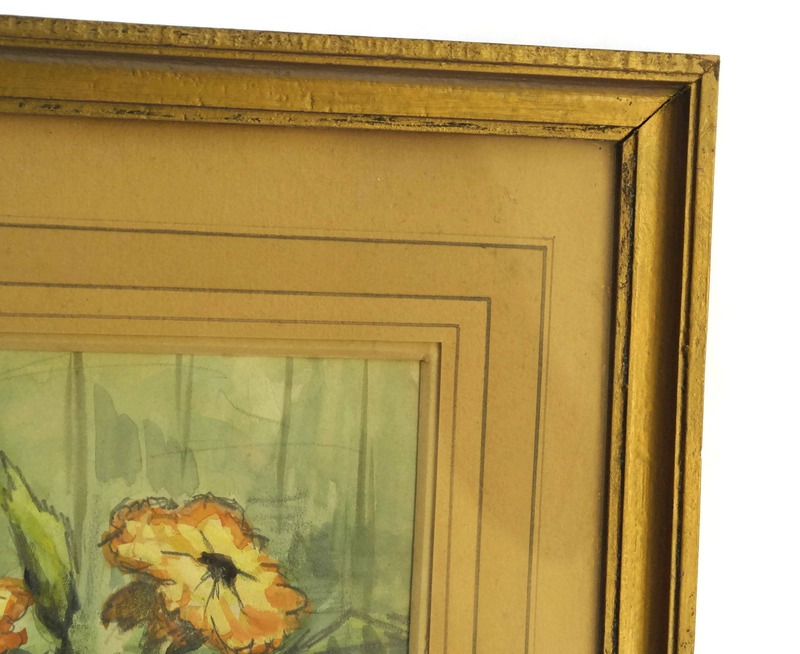 It has been signed by the artist and framed under glass in a simple wooden frame. 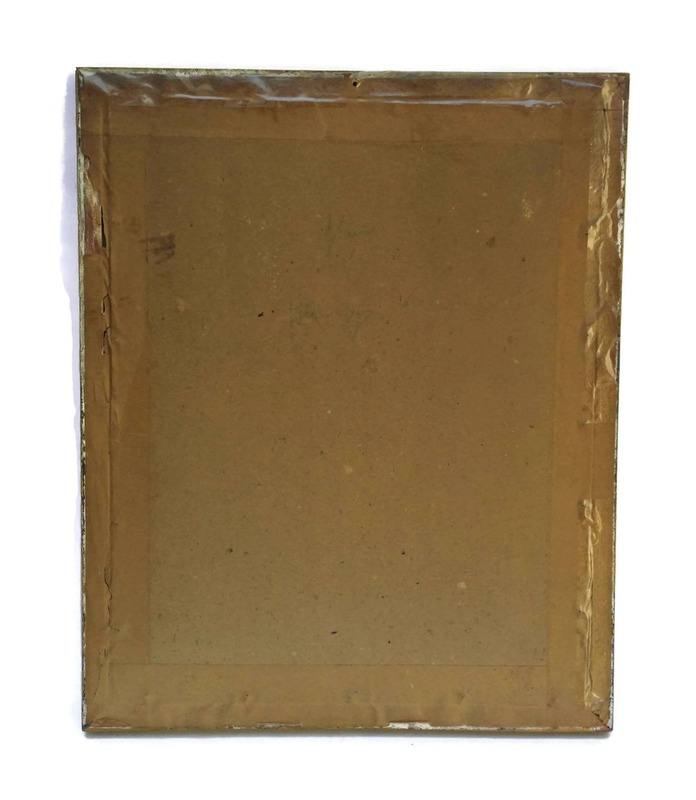 The Frame: 13" Wide x 16" High (33 cm x 40 cm). 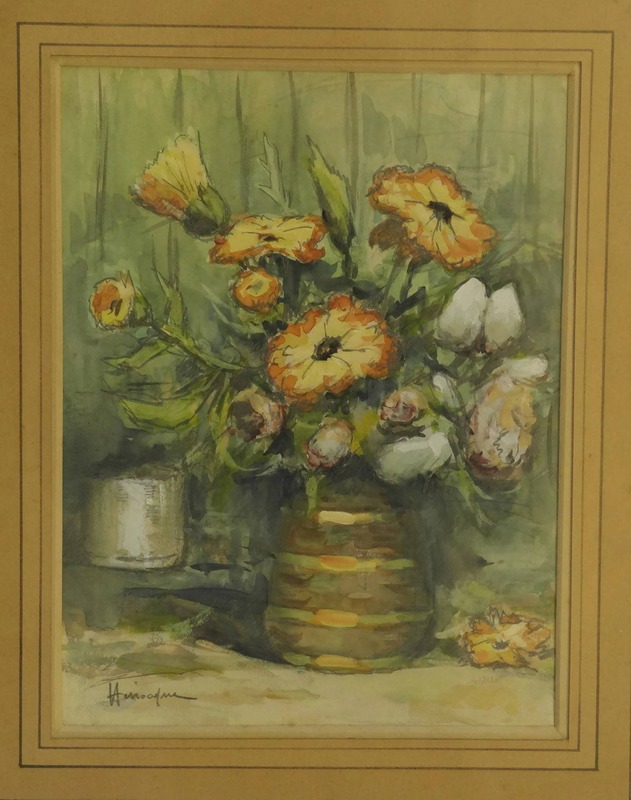 Image Size: 7 1/2" Wide x 10" High (19 cm x 25 cm). 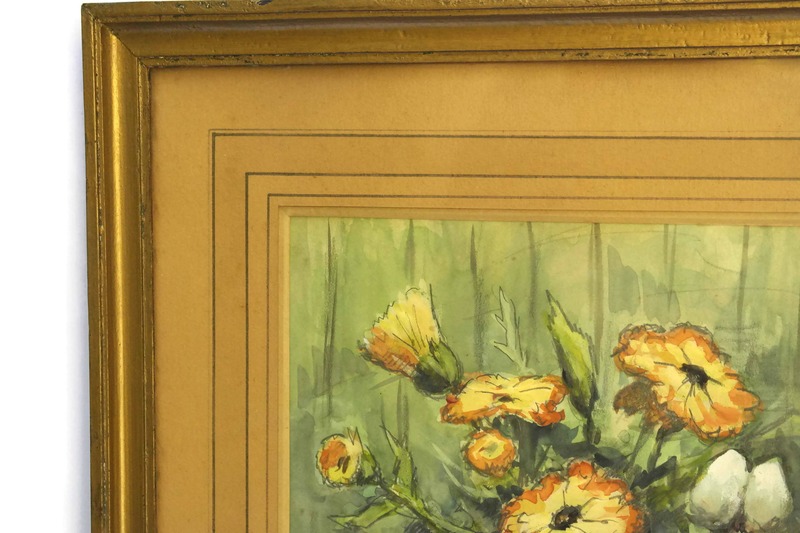 The floral watercolor painting is in very good condition with light wear to the frame.